Wrinkling patterns are ubiquitous in elastic sheets of various types: plastic wraps, metallic foils, human skins, or plant leaves. 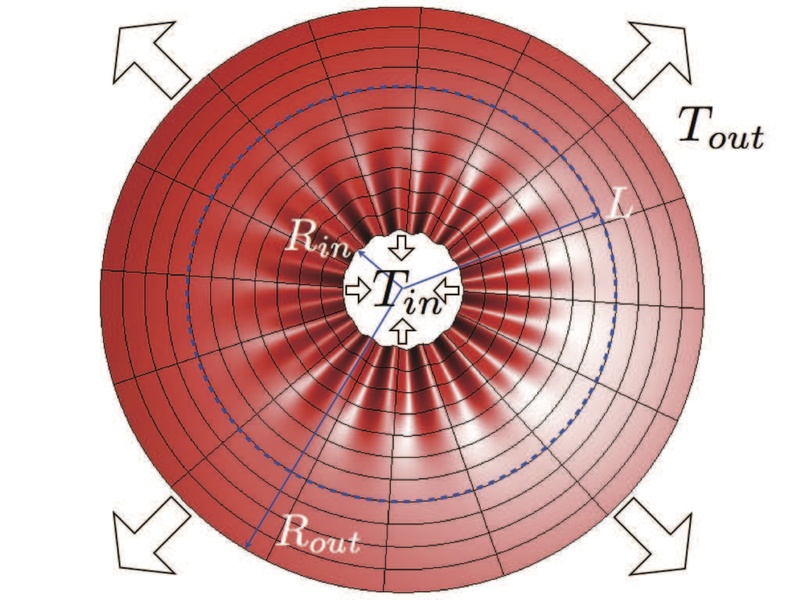 Yet, the strong dependence of these patterns on physical parameters, such as the thickness of the sheet and the stretching forces, has not been well understood. In a recent theoretical work we addressed this problem. 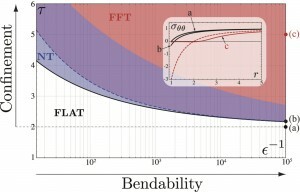 Focusing on the “simplest yet nontrivial” set-up that gives rise to wrinkles of finite size(top figure), we identified generic parameters – termed bendability and confinement, that determine how various features of the wrinkled zone vary in a stretched sheet (phasediagram, bottom figure). 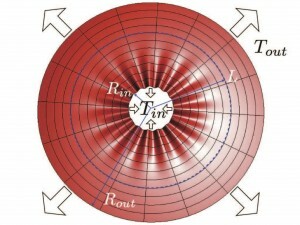 The methodology developed in this study could be used to understand wrinkling and other morphological types in simple and complex geometries. The work, by Benny Davidovitch, Robert D. Schroll, Dominic Vella, Mokhtar Adda-Bedia, and Enrique Cerda, was published in PNAS 108 18227 (2011).